Chef and owner of the beloved Old Vine Café, Mark McDonald, has made internationally influenced cuisine a hallmark at his Costa Mesa eatery. On the heels of his return, from leading two culinary tours of South and North Italy, McDonald will be sharing his expertise in regional Italian cooking this June and July. 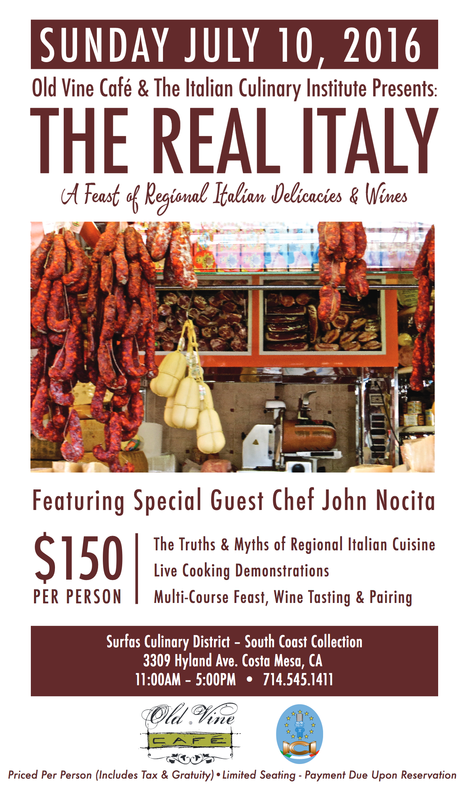 On Sunday, July 10th, McDonald, along with Chef John Nocita of the Italian Culinary Institute, will be presenting a workshop called, The Real Italy, which will explore the truths and myths of regional Italian cooking. Guests will be treated to live cooking demonstrations and a multi-course feast of Italian delicacies paired with wines at the Surfas Culinary District in Costa Mesa. 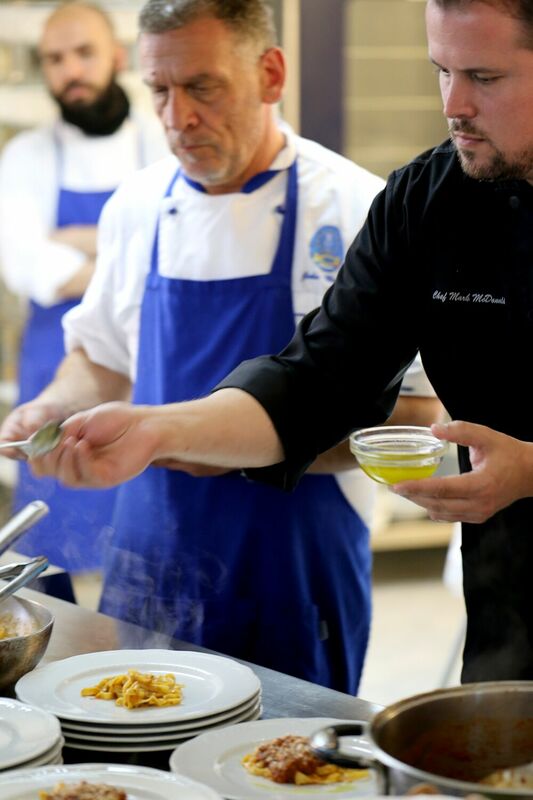 Seating is limited for this unique opportunity to learn from two knowledgeable chefs while enjoying freshly prepared Italian dishes. Those interested can reserve their spot by calling Old Vine Cafe. The cost of the workshop is $150 per person and includes tax and gratuity. In June, McDonald will also be teaching students of the Culinary Lab Cooking School in Anaheim. He’ll be lending his knowledge of regional Italian cooking that he learned while at the Italian Culinary Institute in Staletti, Italy many years ago under the guidance of Chef John Nocita. McDonald has honed these skills at his award-winning restaurant, Old Vine Cafe in Costa Mesa and through his experiences leading culinary tours throughout Italy. During the two days of instructing, students will learn how history, readily available ingredients and culture shaped Italian cooking through different regions.